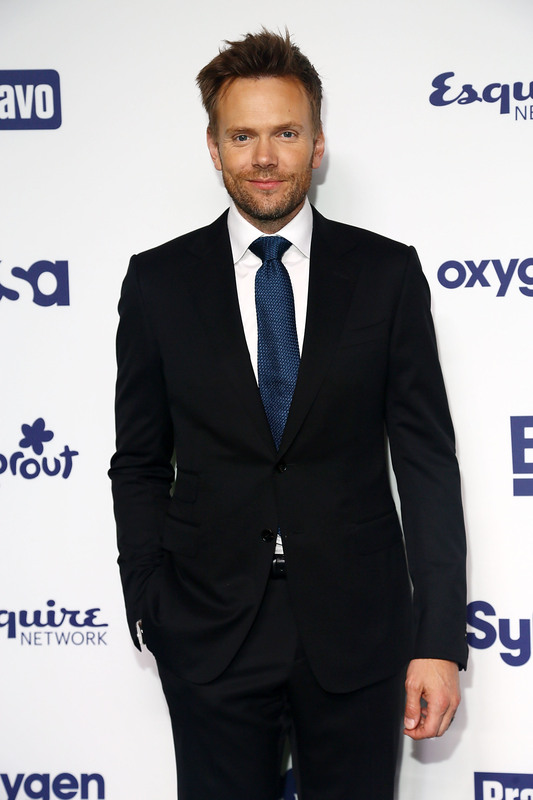 Here's another revelation in the late night wars: Joel McHale is not taking over The Late Late Show . I know! We all thought it seemed pretty obvious, and there was plenty of evidence, but CBS Corporation CEO Leslie Moonves wants you to know that none of this is true. So I guess that means those of us night owls who stay up for The Late Late Show are going to be McHale-less. It's pretty surprising, considering Moonves's wife, Julie Chen, had inadvertently started a rumor about McHale. McHale, Chen, and the Moonveses had dinner together, and we interpreted it as further evidence that McHale was destined for a late slot on CBS. Norm MacDonald even tweeted that Joel McHale was the new host of the show, which made it seem like it was certain. But, ya know, the McHale rumors won't be put to rest until Moonves says they're true or not, so take it away, Les! [...]no discussions to have Joel McHale take over The Late Late Show. I'll wager this: maybe there have been no formal discussions, but maybe, like, some casual martini talk of, "say, Joel McHale, now that Community is dead, wanna host something? You're pretty darn funny. I remember you from The Soup!" Neil Patrick Harris has been a member of our family, and I’m very close to him personally. … So after Neil was done, we said: ‘All right, Neil, what do you want to do? What do you want to do? What are the possibilities? Want to come do a new series with us?’ And we knew probably Letterman and 12:30 might be open, late night. ‘What do you think about that?’ So it was a very general topic. So I wouldn’t say we didn’t talk about it, but he wasn’t offered it per se. But, in Harris's defense, if someone said to me, "what do you think about going to Paris tomorrow?" I would be like, "oh, so that's an option, right?" And then if someone said, "LOL, JK," I'd be a little sad. It sounds like Moonves may be having casual conversations about business matters with viable hosting candidates when they should, in fact, be a little more formal. Like, you know when you've had too many margaritas and you tell someone you want to make a start-up together? I'm not blaming this on drinking, I'm blaming it on context — business matters shouldn't be discussed casually. Regardless, do not anticipate to see Joel McHale on CBS at 12:30 next year. And remember: what you Tweet ain't always what you get.